Color sets the tone for any space, whether you’re designing a living room or work environment. There are many philosophies on what colors work best in the office, but it ultimately comes down to science and design theory. According to research done at the University of Hawaii, there are certain colors that are more suitable for creating productive office environments. A high emotion color, red can excite and inspire employees. Red furniture and paint can increase heart rate and respiration. It’s best used in moderation as an accent color, so as not to elicit overly-strong emotions like passion and danger. Deeper red tones like burgundy are appropriate for an office, but a fully red work environment would be too much. These cool colors help to create a calm and relaxing environment. Blue can reduce stress by helping lower blood pressure and heart rates in your employees, while green rests your eyes and lowers anxiety levels. There is some evidence that people are more productive in blue environments, but darker blue shades can produce sadness, so strike the right balance. 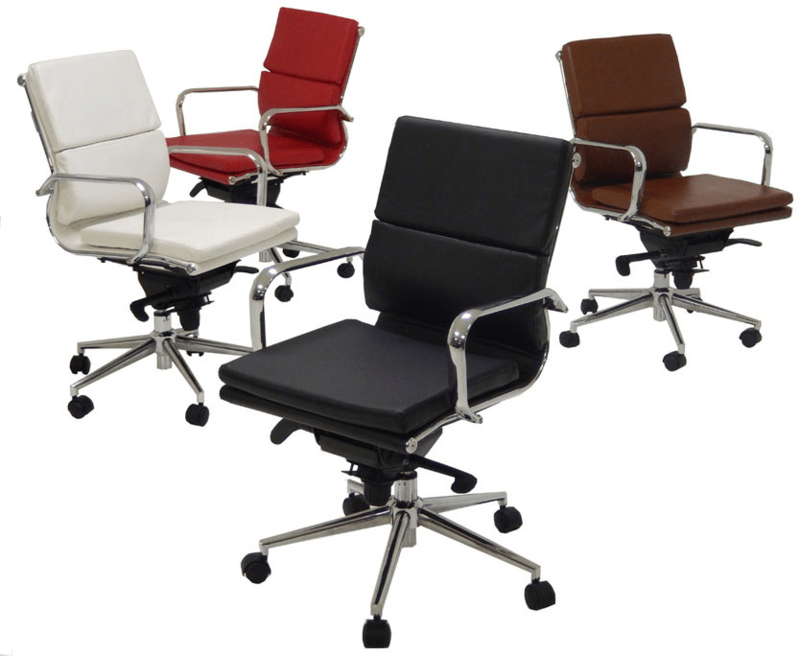 While it’s a popular color in many offices today, white can be an issue for a work environment. It’s highly reflective and can cause eye strain. It promotes feelings of cleanliness and sterility, which comforts some people and turns off others. White can be successful as an accent color, used to diffuse light upward or toward employees, but it may not be ideal as a primary color. When you see these colors, you think of sunlight and warmth. Yellow and orange can evoke feelings of happiness when they’re in the right spectrum. However, when they’re too bright (like yellow caution signs), they can overstimulate, annoy, and irritate. Use yellow and orange as accents and choose subdued tones for the best effect. Not often thought of as a color for corporate office environments, purple can be the right choice for creative companies. The color helps stimulate creativity and encourage teamwork, which is perfect for design or marketing companies. Go out on a limb and consider purple for an innovative twist on the classic office space. 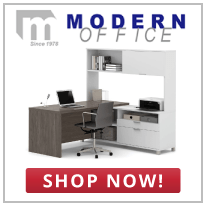 Explore office furniture options in every color from Modern Office Furniture. You’ll find pieces in exciting hues to create an office environment that works for you and your employees. Browse through our collection today.